Last year, baby Lucas joined our family. This year, I have a new baby. Not a human baby, but a product of my creative and entrepreneurial mind and spirit. I can’t say there was a single moment that gave birth to Slice. In many ways SLICE is the product of my imagination, dreams, travels, food cravings and a desire to share my ideas on healthy eating with occasional indulgences. 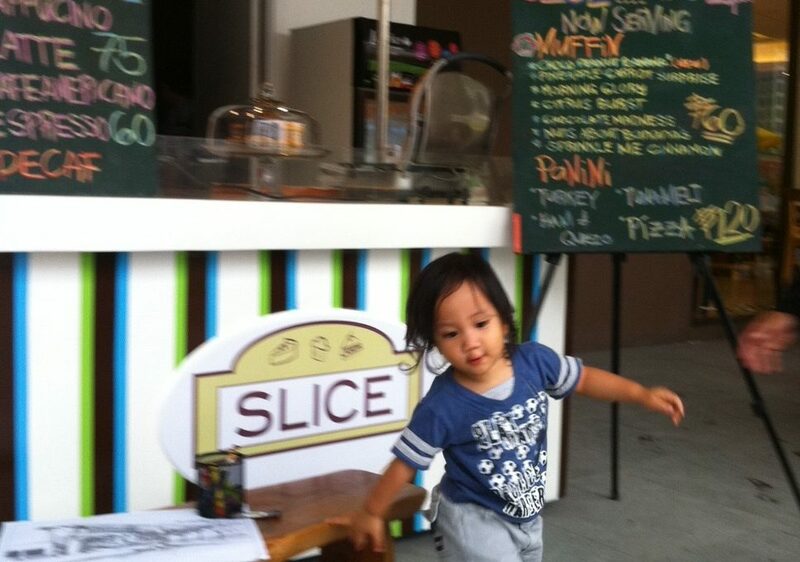 I consider this a journal on the conception, incubation and birth of slice. As early as about six years old, my interest in baking was born. My maternal grandmother Alvenia was a baker. 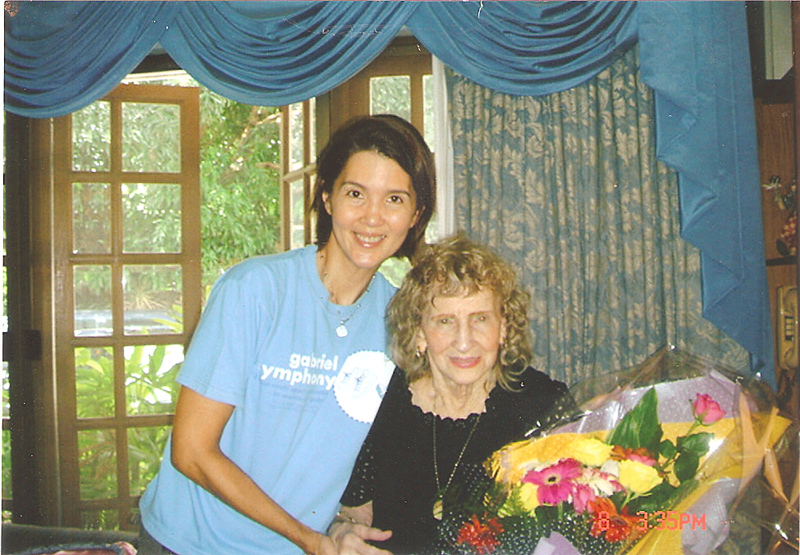 She lived in the United States and every few years would come to visit us here. She stayed for at least three months and during those days our home was filled with the aroma of freshly baked bread, cookies, muffins and pies. It was from her that I learned whole wheat bread was a healthier kind of bread. In those days, the ’70s you couldn’t buy whole wheat except in a few hotels and they were very expensive. When my grandma was here I only ate her homemade whole wheat bread. Absolutely no white bread. She taught me how to bake her bread from sifting and measuring the flour, to kneading the dough, watching it rise, beating it down again and eventually in its most plump size, putting it in the oven. Before she went back home, she would freeze dozens of loaves for us to eat so we would still have her homemade bread despite her absence. When my grandma was around, I always came home to a slice of pie, a slice of cake, a slice of a different kind of bread. She taught me how to bake them all. But my favorite was always bread and bread making. She came to live with us here in the Philippines when she was 87 and even when she turned 90 she was still actively baking, teaching me a thing or two about yeast and kneading. That’s me and my grandma when she turned 90. My grandma is gone now. She sadly passed away just a little over a year ago. 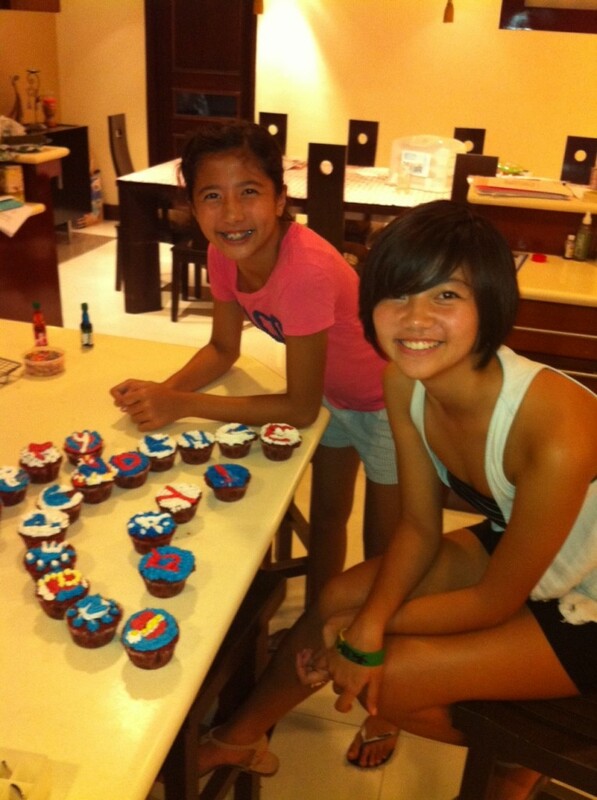 But she passed on her love of baking not just to me but also to my daughter Nadine. My other daughter Max says she only inherited my love of eating! Nadine has her own collection of cookbooks, baking trays and favorite recipes. 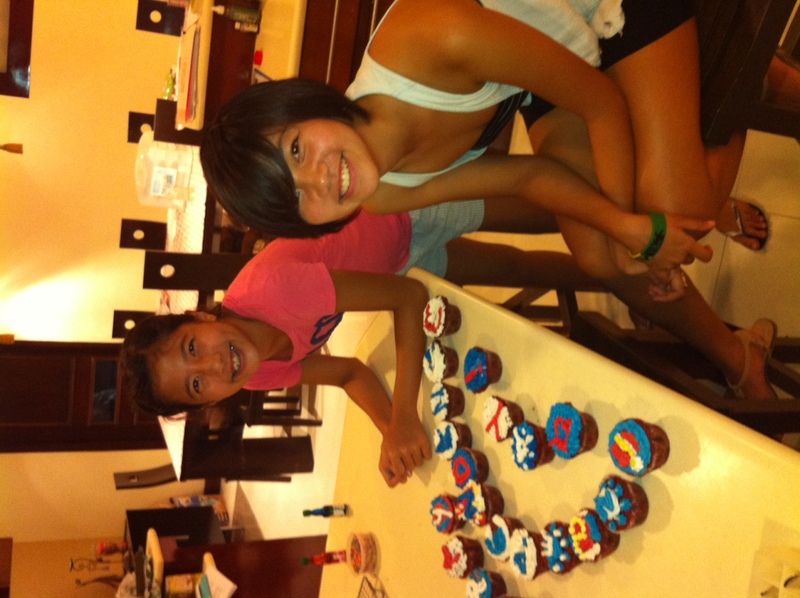 She specializes in beautifully decorated cupcakes and chocolate chip cookies. Maybe it is in my grandma’s memory that I am inspired to put up Slice. Maybe the opportunity just presented itself. Maybe I just miss being an entrepreneur or want my children to start learning about life and managing a business. Whatever the reason, I , along with a few others, am now a proud incubator of a café concept and continually experimenting on the perfect slice. 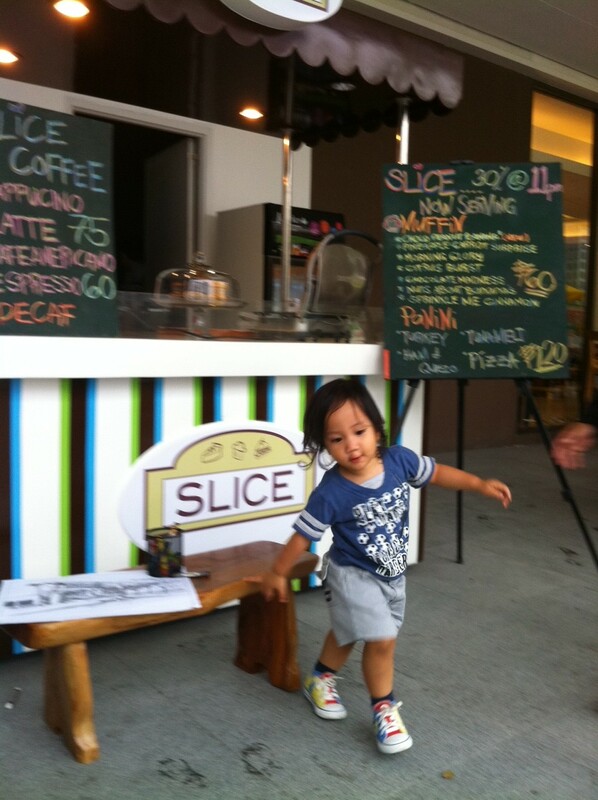 At present it is a little teeny-weeny café-cart in front of our still vacant space in Bonifacio High Central. We serve muffins, coffee and Panini. 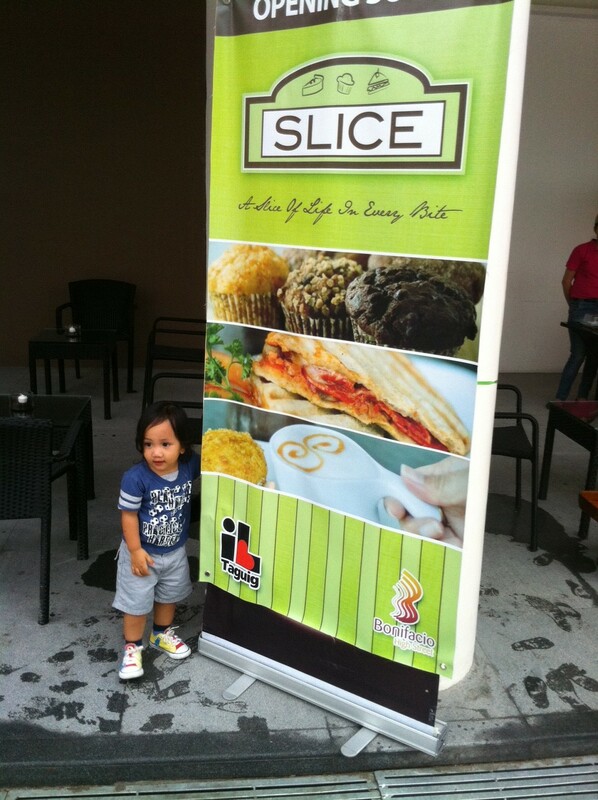 That’s my baby boy Lucas with our Slice banner. I am not new to the retail business. But owning a café is new to me. It won’t be easy. I have a demanding job that presents enough challenges as it is, I’m a mother of a teen, a tween and a toddler, and I’m a passionate triathlete. But work is in my blood. Im always up to a challenge and I miss creating a new concept and being an entrepreneur. Welcome to the Birthing Pains of Slice.